Welcome to the Winter 2015 edition of Intersections magazine. The theme of this edition relates to education and conflict prevention. 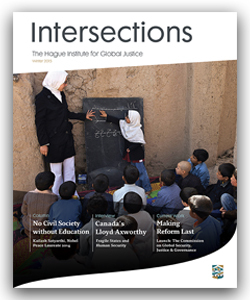 Welcome to the Winter 2015 edition of Intersections magazine, which showcases The Hague Institute’s ongoing work, especially as it relates to education and conflict prevention. In this issue, Nobel Peace Laureate Kailash Satyarthi writes on the importance of education for all, while former Canadian Foreign Minister Lloyd Axworthy is interviewed about his work on conflict-affected countries. Dutch MEP Marietje Schaake also writes for this season’s edition, focusing on the central role that education should have in foreign policy. I have long been convinced that education is of fundamental importance in preventing conflict and fostering sustainable peace. Education serves many functions – for example, as an instrument for economic growth, socialization and poverty reduction – and contributes to building peaceful societies. Education underpins an informed citizenry, which enables the exercise of arbitrary power to be checked within the state. Between states, better education – particularly about other cultures – can help to ease tensions between rivals, and thereby hold back the dogs of war. 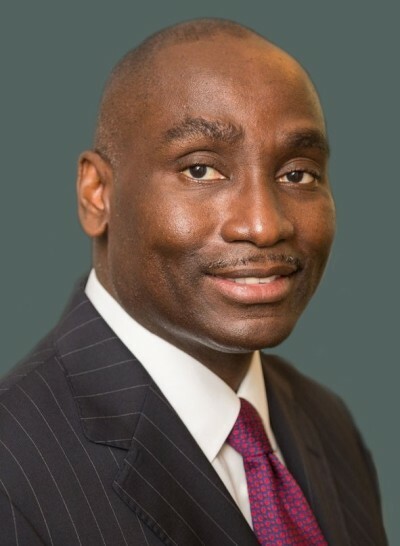 This has been the signature achievement of various international educational programs, including the United World Colleges and the Fulbright Program, both of which I am pleased to be associated with. It is axiomatic to say that we now live in a global age. It is an age that requires global citizens, equipped to collaborate beyond borders to solve collective problems and affirm our common humanity. However, globalization has also brought with it alienation; changes wrought by global processes have left communities feeling powerless and threatened by the ‘other’. Education must be at the heart of efforts to counter the backlash against globalization, which has readily understandable causes, but which too often has sought out scapegoats and seldom reflects the humanity of supposed rivals in the global race. In fragile states, the role of education serves a particular purpose in bringing about sustainable peace after conflict. Educators who give due consideration to conflicting communal narratives create a space for co-operation between future generations. Education is also the pathway to fulfilling jobs, which goes a long way to disrupt the poverty-conflict nexus at the heart of many wars. It is for these reasons that The Hague Institute is devoting attention and resources to the relationship between education and peacebuilding. It is a field which deserves significantly more investigation, and one in which I am confident that the Institute will make a contribution.